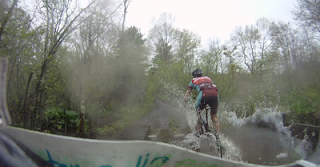 I started experimenting with running the bar cam in mountain bike races. Not sure how I feel about it yet. There's lots of action, but it requires a lot of editing to pull together, unlike cross where you can just show lap one and it's wheel-to-wheel madness. But hey, here's some stuff! Highlights include Dan Ward hitting a tree around 3:15, Will vs a Rock Garden at 4:20 (heh heh) and me smashing my knee/cursing loudly at 4:40. 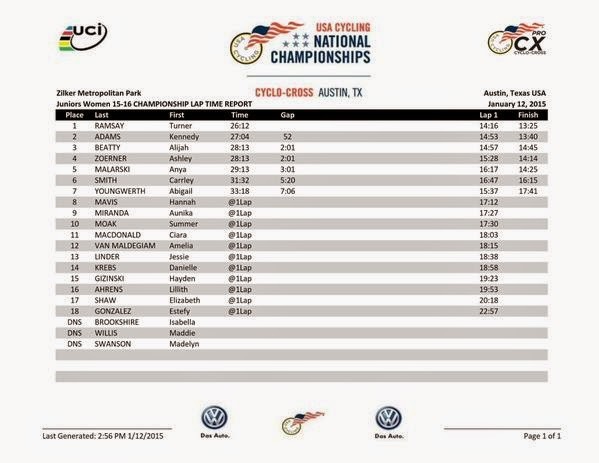 I did this one last year and it was so awesome that I told all my MTB-owning-but-never-racing friends that this was THE RACE for them to do in 2011. Seriously, I got the "what MTB races should I check out?" question from a multitude of sources this offseason, and I told EVERYONE about THE WILLOW. ...and then they changed the course to have tons of doubletrack. Doh! But the non-doubletrack sections were still dope enough for me to forgive them. But not enough to keep me from registering my preference for the 2010 course over 2011 on the internet! ANYWAY. 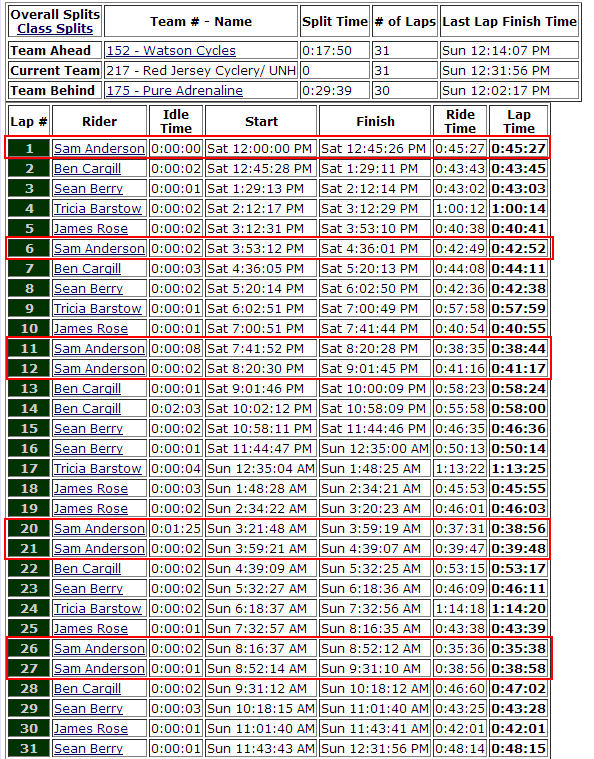 Twenty guys showed up to race DA BIKES in the elite class (and 440 people total!) and just like last week there was a woeful shortage of scrubs. 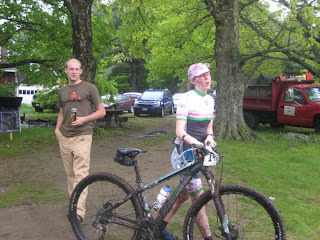 Mike Wissell made an early bid for "scrub" status by somehow finding an off-camber on the doubletrack start and nearly crashing on it, but then he chased back onto my wheel (which was nearly the last wheel) as we hit the singletrack. You can tell I drank coffee before I wrote this, because I used half as many commas as I should've. I'm not fixing it. I have a problem. I really like the Glocester Grind. It's rocky-rooty-technical, like get-off-your-bike-and-run-hard in places, and that's when it's NOT raining. It rained the night before. Holy crap this was going to be awesome! Bike racing!! Despite a competing MTB race on the same day (do we really have to have this problem every season, guys? 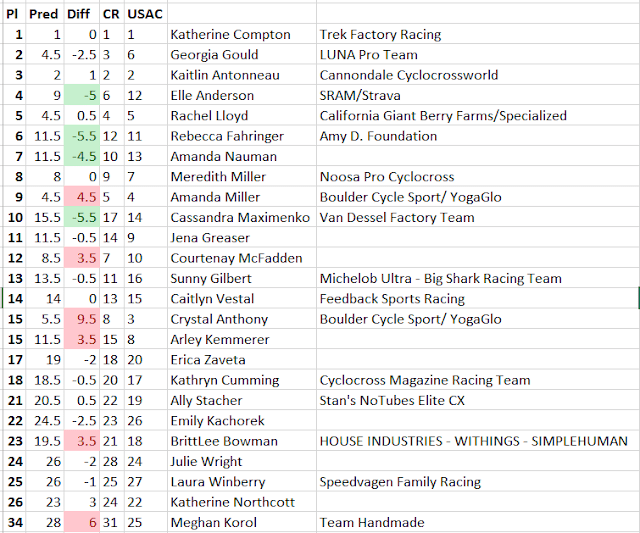 ), we still rallied a 19-rider elite field and a disturbing lack of SCRUBS in it. Will Crissman, Jeff Landfried and I discussed the lack of scrubs on the start line, and drew the unfortunate conclusion that anytime you can't figure out who the scrubs are, that means you're one of them. Then the race started and I never saw like, uh, half the field again. Like I was saying. Note: this is the same report I posted on the Back Bay Team Blog, except with 2 pictures added. When I do road stuff with the team I tend to post there first. So you should put that in your RSS feed. One of my favorite things about road racing is how much time everyone spends talking about team tactics, just to have them all go directly out the window as soon as the race starts. 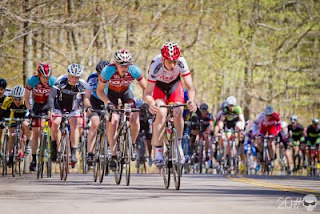 Take, for example, my internet friend Mr Steve Hopengarten, who went on a mountain bike ride with me a week ago and told me all about how Green Line Velo was going to be all over the Blue Hills Cat 3 field, and how victory was inevitable. After the ride, this trash talk continued onto the internet. @shopengarten had already made it clear that he was not personally going to win the race, but one of his teammates surely would. And since cycling is a team sport, that would in turn make him a better human than I, regardless of our own personal placings.